The Treasure State, Montana, is a great place to be. The quality of life is close to unbeatable, because the state offers great breweries, scenery, arts and more. There are several sites to see and places to enjoy. Visit Montana. No matter if you are relocating to Montana or simply just taking a long vacation, you may want to consider using National Dispatch to transport your car to your destination. Not only will vehicle shipping services save you time, but it could save you money. Below, you will find a list of a couple of different vehicle shipping options we provide to safely transport your car. Open Auto Transport is going to be the quickest and most readily available option. In this option, your car is loaded up onto a car carrier capable of hauling six to nine vehicles. The carrier is not enclosed, so your vehicle will be exposed to weather conditions and some road elements. However, it remains a safe, fast, and cost-effective car shipping method. Unlike open auto transport, with enclosed auto transport, your vehicle will not be on an open-air carrier. Instead, your vehicle will be shielded from all road and weather elements. While this method of transportation provides a bit of additional safety, it is also a little bit more expensive. This is a great option for people who are shipping high-valued vehicles, such as sports, classic, luxury, and exotic cars. Whether you have bought a car at an auction or have sold it at an auction, National Dispatch will be sure to take it to its new destination. When purchasing a car via an auction, it is important to keep the car in its best condition. This means that driving the car a long distance, before getting it into the hands of its new owner, is probably not the best idea. We, however, are experts in safely transporting vehicles to their proper destinations. Read more on auction auto shipping. 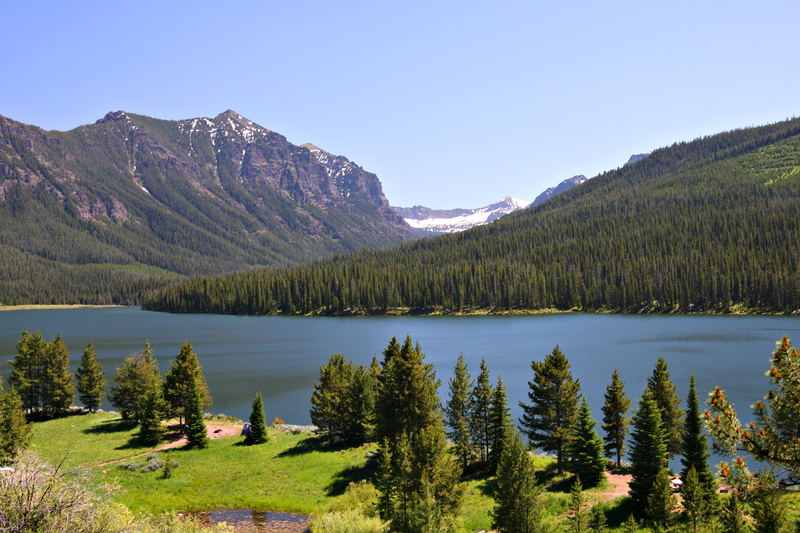 When you get your vehicle to Montana, we are sure you will want to explore. There are activities abd attractions for every type of person to enjoy. Below is a list of fun places to visit while you are in Montana. Garnet was a small town that was inhabited during the Gold Rush. It is located in what is now known as Drummond, Montana. This remote town, when bustling with people in the late 1800s, boasted hotels, stores, saloons, drug stores, and more. One was able to hear the dynamite explosions and the calls of miners. However, once the gold was depleted so was Garnet’s population. Today, the town of Garnet is one of the best-preserved gold rush towns in the entire country. The Bureau of Land Management is in charge of the preservation and allows guests to catch a glimpse of what life was like back then. Located in West Yellowstone, the Playmill Theatre is one family’s dream to bring positivity into the world. The owners know that life is not always easy or certain, and so they wanted visitors to enjoy a few hours in a happy and hopeful place. They do that through the use of plays. Each year, the theatre brings in about 35,000 people, from all over, who come and build memories. It is the hope of the owners that each person walks away learning something, big or small, about themselves, each other, or the world. If you have a child who is interested in the arts or theater, consider enrolling them in the Playmill Theatre Summer Camp. Learn more about West Yellowstone. Glacier National Park is a must-see while in Montana. The park was established in 1910 and features alpine meadows, forests, waterfalls, glaciers, and lakes. For outdoorsy folk, you can hike, ski, bike, paddle board, and more. Nearly half of the people who visit the park report having taken a hike along some of the trails. Some of the most popular hikes include Highline Trail, Grinnell Glacier, and Pitamakan-Dawson loop. If you love nature, but are not a big fan of actually being in the wild, consider driving the Going-to-the-Sun Road. This road bisects the park east to west and passes through nearly every type of terrain that the park has to offer. There are scenic viewpoints along the route, so you are still able to get breathtaking photos without having to be an avid hiker. 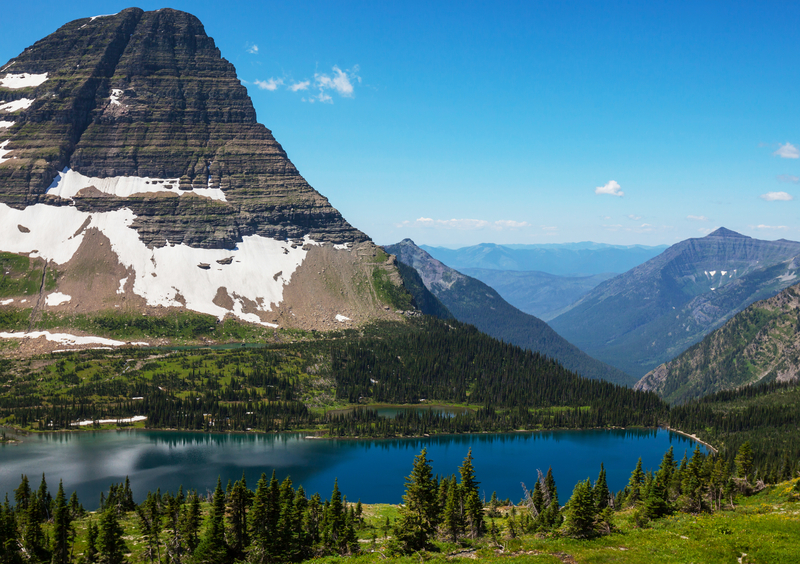 Learn more about Glacier National Park. The Museum of the Rockies (MOR) is located in Bozeman and is much more than just a museum. It is a division of Montana State University, a Smithsonian Affiliate, a repository for federal fossils, and a nonprofit institution. It has been recognized as a high-quality research and history museum and is known for its extensive collection of dinosaur fossils. One of the most outstanding fossils is a full-scale T. Rex skeleton. While MOR is known for its outstanding work in paleontology, the museum offers more than just dinosaurs. There are several exhibits that are dedicated to the history of Montana, including a Living History Farm exhibit where actors bring history to life as if they were in 1890 Montana. Located in Missoula, this carousel started as one man’s dream. A cabinet maker in Missoula traveled to Butte, Montana to ride the carousel. He got tired of the journey, so he promised his city that if no one took it down that he would build a carousel for everyone to enjoy. Once the Council agreed, the dream of one man became the dream of the community. It took over 100,000 volunteer hours to construct the carousel. It includes the largest organ in continuous use in the United States. The town banded together to make the dream of one man come true. Four years later, the carousel opened. It has brought a continual spirit of giving for the town of Missoula which has yet to cease. If you are in need of vehicle shipping services to or from Montana, contact National Dispatch. We offer a free, instant vehicle shipping quote using our quote calculator. No personal information is required. You can also contact us via phone at 800-321-2051.